Tag Archives for " Go Vaporizer Review "
​Portable vaporizers continue to evolve and continue to become a popular product for cannabis and herbal plant enthusiasts. The ability to vaporizer both cannabis and other herbs is one of the best ways to extract and consume the active ingredients of pant material. ​Canadian company Arizer is at the forefront of this growing industry. With popular desktop and portable device, Arizer has become one of the dominant names in the vaporizer industry. Arizer has caught our attention once again with newly released news about a 3rd addition to there portable vaporizer lineup. 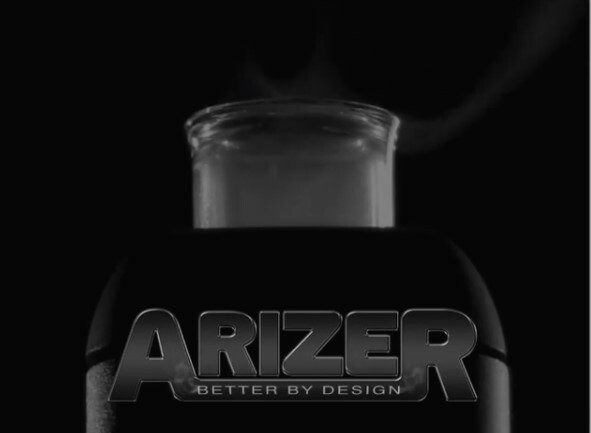 The Arizer Go vaporizer is in the works and will be released soon. ​The Go will ​has been designed to be very portable and discrete. Built with a retractable glass mouthpiece, the Arizer Go takes the best from both the Air and Solo models. ​A easy to read digital display helps to communicate the devices current temperature, battery life, and additional options. When more details come out about this model we will update this page. We are interested to know if this will be a dry herb only vaporizer, a concentrate only vaporier, or perhaps a multi material vaporizer. One of the most important aspects of a portable vaporizer is the battery that makes it run. By looking at the design I will assume that it is an internal battery (but I could very well be mistaken here). The small size of the Arizer Go also makes me believe that it will be a conduction heating vaporizer and not convection - This is something I hope to be wrong about. The other models of arizer vaporizers are all convection in a sense. However if this is a concentrate vaporizer designed for quick hits while on the go, then I might have t be a conduction one. ​This is not Arizer's first entry into that vaporizer market. As most of you are well aware Arizer is one of the leading companies when it comes to both build quality and performance in the vaporizer industry. ​The Arizer Air 2 has now been released and can be purchase directly from the official Arizer website here and shipped to most countries around the world. The Air 2 is one of our top choices for a vaporizer under $250. ​The new Arizer Solo 2 has a display screen that shows you the remaining battery life of the charge and also displays the devices current temperature. The Arizer Solo 2 has a stronger battery that lasts longer and charges quicker than the original. IThe temperate controls have been improved and now can be controlled through 1 degree temperature adjust-ability. ​The Arizer Extreme Q is the desktop model offered by Arizer. ​The Extreme Q is one of the only desktop vaporizer that ​gives users the option to control it by remote control. ​A balloon or a whip can be used with this convection desktop vaporizer. The Extreme Q tops our vaporizer ranking charts for best desktop budget vaporizer. ​There is currently no official mention of a release date for the Arizer Go vaporizer. We wil update this page as we learn more about this new model from the Canadian vaporizer manufacturer.